If like me you have become slightly potty over your perfume obsession, you will likely have stumbled upon Bois de Jasmin‘s perfume blog. This is one of the original perfume blogs that is still going strong and has a dedicated following. I often visit Bois de Jasmin when I’m looking for detailed information on a note, seeking reviews on perfumes or looking for fragrances based around a single note. Victoria Frolova aka Bois de Jasmin has a really lovely post on jasmine that I often go back to for ideas on perfumes with said note, which judging by the name of her blog is her favourite. Victoria is of Ukranian descent and often shares recipes and insights from her culture which I find particularly compelling as well as her love of Bollywood. She also works in the perfume industry. She recently hit upon a great idea to circulate a Travelling Sample Perfume Box with samples to her readers. She currently has one box circulating in the US and the other in Europe. Readers of her blog are informed when the the box is ready to be passed on to the next recipient. Victoria then randomly selects a participant from those who are interested. The box is then posted to that person and they sample the wares, write quick notes on their impressions of the perfumes and these are emailed back to Victoria. They can then take a few samples out of the box, and add in some new ones of their own. Et voilà the box is ready for the next participant. If you’d like to be involved in the EU travelling box, please go to Bois de Jasmin and register your interest. It’s a really great way to try a stack of new perfumes and it’s practically free, except for the cost of postage. I think this is a truly fabulous idea and provides such a great way to sample new perfumes. I was the lucky recipient of this box recently and had a lot of fun trialling some new scents that I hadn’t smelt before. I was REALLY excited to try the Neela Vermeire range of perfumes inspired by India as I have had these on my MUST TRY list for ages but had never got around to buying the samples. I particularly loved Bombay Bling and I have to say I would really like a full bottle of this, but I may go for her sampler set of 4 x 8ml, as I did really fall for Trayee, Ashoka and Mohur as well. It’s nice to know that when you have read such great raves about a perfume house, that it really does live up to expectations. First of all I’d like to say thank you to Victoria for this brilliant idea. I’ve really enjoyed sampling new perfumes. It’s simply heaven for a perfume lover. Here are my notes from the Travelling Sample Perfume Box. By Kilian : Apple Brandy : I love this one. It’s a VERY boozy gourmand that after the alcohol subsided reminded me a little of Parfumerie Generale’s Aomassai and its nutty sweetness. The perfume doesn’t change much as it goes along but remains sweet and full bodied – quite close to rum in my mind. 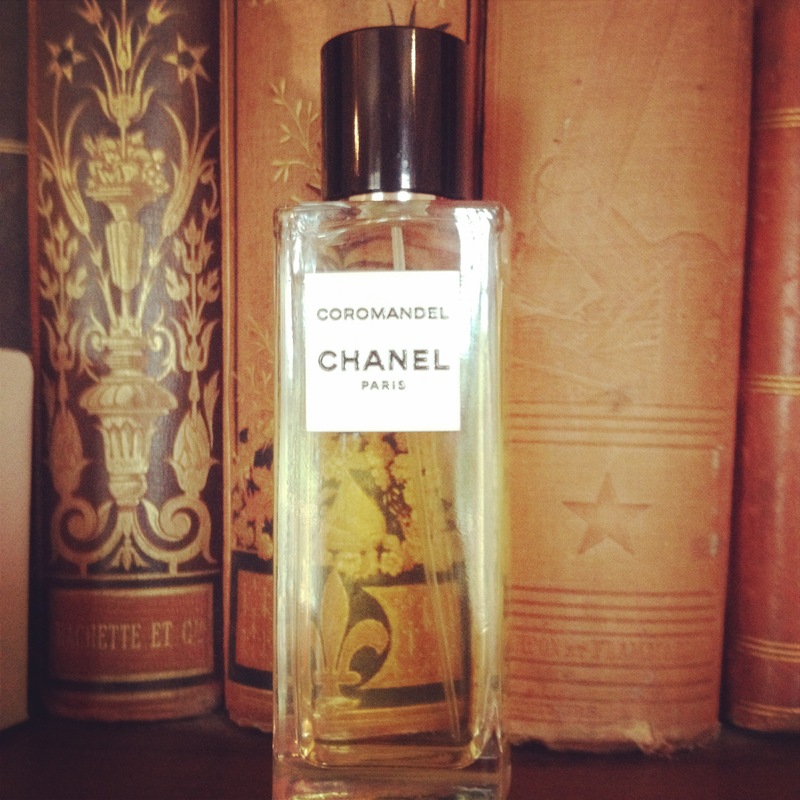 Chanel : Coromandel : I absolutely love this and own a bottle. It’s a smooth but rich patchouli that dials down the musty aspects and really feels like a luxurious cashmere scarf. I love Borneo 1834 from Serge Lutens, and this is a tamer, more elegantly groomed take on a similar idea. Grossmith : Floral Veil : A peppery?, slightly strange opening that just blooms into a gorgeously beautiful full bodied tuberose. It’s so smooth and creamy and the base feels rich and opulent. Love this, pity it’s so pricey! Hermes : L’Ambre des Merveilles : A really yummy gourmand caramelised amber. It’s quite sweet so perhaps it won’t be for everyone. 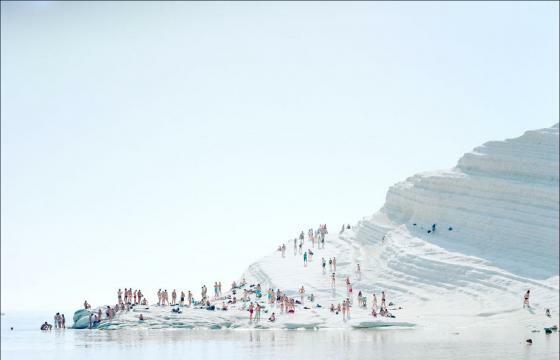 But I can see how this would be absolutely perfect in winter. Quite keen on getting hold of a small bottle of this. Neela Vermeire : Ashoka : The opening is green tinged and lovely. The fig smells quite sweet. I also smell something resembling coconut. It progresses to having a really, smooth creamy feel with lots of sandalwood. It feels like a decadent fig – miles away from the fresh, invigorating Philosykos. I think this one would work really well in autumn as it has a comforting warmth to it, whereas traditionally I have thought of fig only as a summer perfume note. Neela Vermeire : Bombay Bling : A sparkling fruity perfume with the first enjoyable mango note I’ve encountered. A happy perfume with fruit, spice and attitude. Neela Vermeire : Trayee : A gorgeous, Indian spiced scent. It really does smell like an Indian specialty store. It feels very complex and changes often. I can smell ginger, cardamom and the incense quite strongly. Beautiful. Atelier Cologne : Silver Iris : This opens up very sweetly like a gourmand iris. To me it has a toned down Angel vibe at the beginning. I think this would be a good choice if you don’t enjoy the carroty, rooty iris perfumes. It reminds me a little of La Fin de la Monde from Etat Libre d’Orange from memory but I didn’t compare directly. Like Feminite du Bois, this perfume grew on me as I wore it. I have my favourite iris (Iris Silver Mist) but this would be its more light hearted, younger sister who doesn’t take things so seriously. For me these two iris perfumes are poles apart but I found this to be a highly likeable surprise discovery. Etro : Shaal Nur : This is a very fragrant light, spicy incense. It has an exotic feel with a breezy lightness. This would make an easy to wear but slightly unusual choice that satisfies that spritz and go need. 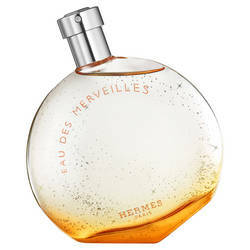 Hermes : Eau de Merveilles : Opens with a lovely citrus burst, then it becomes a bit salty, but has warmth as well. I thought this was really lovely. Surprisingly tenacious, yet a soft scent. Neela Vermeire : Mohur : A mature rose that doesn’t come across as too strong or too light. It smells to me like it is flecked with green petals, even though it comes across as a spiced dark red rose. It also has a tinge of sweetness. I realise that description sounds all over the place, but somehow that’s how it smells for me. It feels like a perfume that wouldn’t work so well for someone in their 20’s it has more of a grown up feel. It reminded me a little of Oha from Teo Cabanel in its elegance. I imagine the Extrait would be right up my alley if everything is amped up a little. 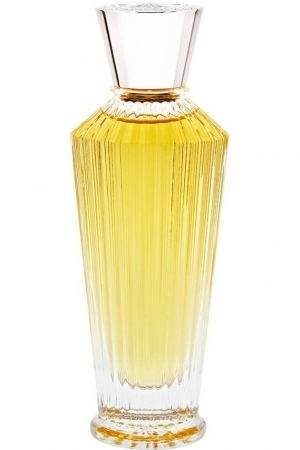 Serge Lutens : Feminite du Bois : It had a spiced cinnamon at the beginning and sweetish plum. I also could smell cedar. I was a bit bored at the beginning, but this really warmed up 15 minutes in. Then the plum and stewed fruit mix really started to shine and suddenly I understood why this perfume is much loved and talked about. I think this is one of those perfumes that you need a little time with as I’ve sprayed it on in – store before and have never seen the appeal. I finally ‘got’ this perfume. I was very happy with this discovery. A Lab on Fire : What We Do In Paris Is Secret : This has a very powerful opening and it comes across as sweetly honeyed vanilla. As it goes along it reminds me somehow of Angel (don’t kill me) – I think it’s the fruity sweetness association. Atelier Cologne : Mistral Patchouli : I’ve got a sample of this one and it’s a light, breezy, watery patchouli. To me it’s patchouli for those who don’t like the dark, earthy style. This however, is a spritz and go cologne, easy wear option. 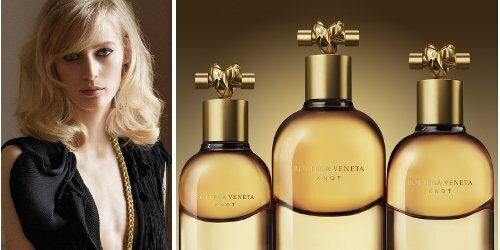 Bottega Veneta : Knot : A neroli centred musky light perfume. It does remind me of Yves Rocher’s Neroli but Knot is more delicately styled and smells smoother. I think this would be great for those that like easy to wear perfumes that aren’t too complicated that you can reach for on a daily basis. It actually developed a stronger presence and warmed up as I wore this as the tonka poked through. I think that if I wore this more often it would be a grower and would be lovely in summer. I’m not a huge fan of the name for this one though. By Kilian : Vodka on the Rocks : VERY strong alcoholic opening. A little much at first to put it mildly. It’s vaguely coconutty as it works its way on the skin. Definitely more of a masculine bent to this one. Saying that it grew on me as I wore it but the opening is very bracing. It’s definitely an oddball but interesting. 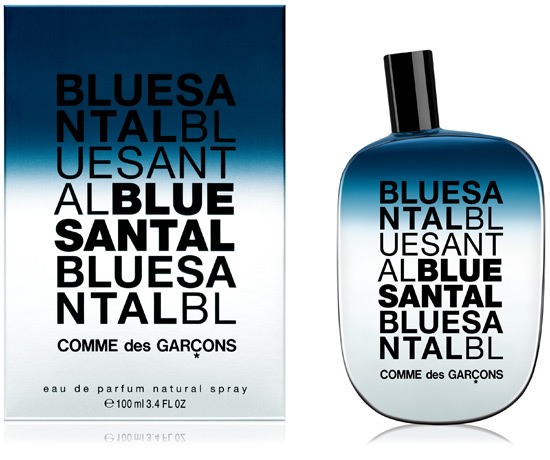 Comme des Garcons : Blue Santal : Piney and peppery perfume. Bizarrely this evokes the beach for me as it has a bit of a salty tinge to it. Grossmith : Golden Chypre : A beautiful citrus / bergamot opening. Really lovely. Then it warmed up so that you could imagine a deep mid day sun and the warming feel of its golden rays. I like this but I think that for the money you may as well try Mitsouko. Grossmith : Rose Saffron : This is a huge perfume and very heavy on the saffron. It smells similar to other rose and saffron centred perfumes that I have tried and reminds me of a much more sophisticated Agent Provocateur. It smells rich and decadent. The saffron was actually a little overpowering for me. I don’t think this is breaking new ground but it would be a good option if you like this combination and have a welcoming wallet! Olfactive Studio : Lumiere Blanche : This felt very light and delicate with a slightly sweet, milky yet comforting feel. I could really smell the star anise up front. This would be a lovely comforting, cashmere blanket style perfume and I could see how this one would have wide appeal. Rouge Bunny Rouge : Embers : I found this to start off as a sweetly pretty incense perfume and then it warms up to become more comforting. I liked it but it didn’t wow me. Serge Lutens : Douce Amere : I have a decant of this and it is quite an unsual Lutens. To me it’s sort of a bitter vanilla with a spiced lily. I think this one is a bit of an acquired taste, yes it’s a vanilla but it’s not a syrupy version like the more popular Bois de Vanille. Etat Libre D’Orange : Noel au Balcon : This is quite spiced in the opening and definitely evocative of Xmas with cinnamon and other spices. The opening was my favourite part of this scent and then it didn’t hold my interest and became a bit dank a little like it’s burnt cherry tobacco. Grossmith : Amelia : A feminine floral that I couldn’t really pin down, the closest I got was a slightly spiced rose. It smells expensive but didn’t really do much for me. Rouge Bunny Rouge : Cynefin : This had quite a herbal opening and for me was quite an unusual perfume that I just didn’t warm to. I love there is a Coromandel by Chanel. You know why. Mine too. Although I do quite fancy Coco as well.